We accept returns up to 30 days after your purchase. 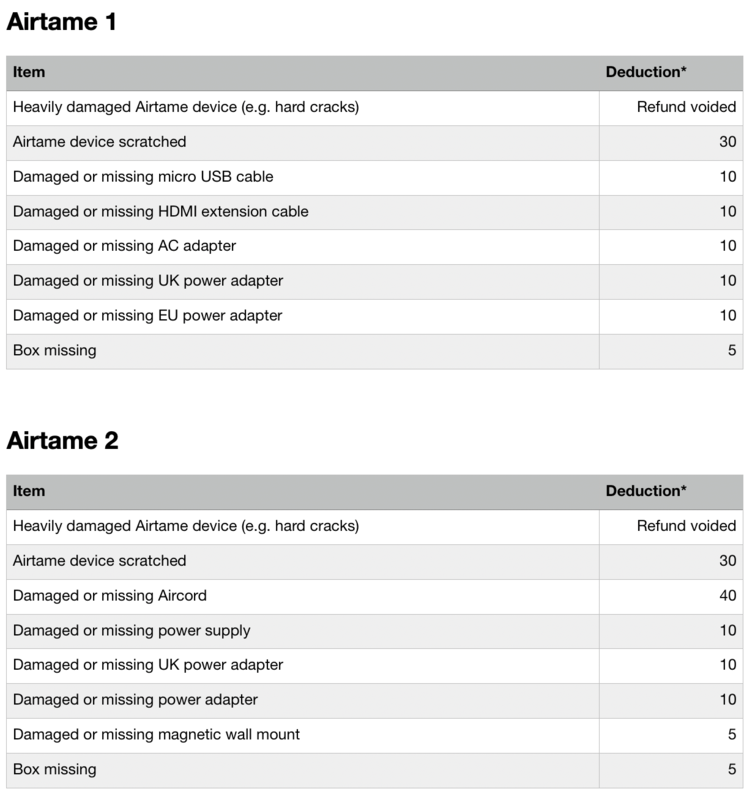 Airtame has a 30-day return policy. You can return the product for any reason within the 30-day period after you have received the device. The 30 day trial begins on the date your Airtame is delivered to you. We'll get back to you with within 24 hours with a confirmation and instructions on how to send the package back to us.